Dental implants are an ideal modern solution to tooth loss. With improved durability and stability, they offer long-term aesthetic and functional benefits. To place the implant, your dentist surgically inserts the artificial tooth root into the jawbone. 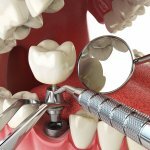 After the surgery, the dental implant will be given time to heal and for the bone tissue to fix it in place. Your dentist will provide advice on how to take care of your new implant and go about your usual routine, but it’s helpful to know as early as know what happens post-surgery. As soon as the surgery is done, your dentist places gauze packs over the affected area/s. You may be asked to bite down gently on the gauze packs for one hour to keep the implants in place. Afterwards, you may carefully remove them. If you sense that the affected areas are still bleeding, new gauze is put over them for another thirty minutes. The gauze is usually moistened with water for your comfort. It’s a must to keep your teeth and gums healthy after getting dental implants. At the night of your surgery, gently brush your teeth with soft bristles. Take extra care when brushing around the implants. If you experience bleeding while brushing, gently gargle salt water to ease it. The most important time to rinse your mouth is after eating. Your diet is likely to change after getting implants. Your dentist may advise increasing your intake of liquids or pureed foods such as soup, pudding, yoghurt, fruit juice and others. Make sure to refrain from eating food that requires strenuous chewing. This includes meat, nuts, popcorn and such. It’s best to eliminate the risk of these types of food getting lodged in your dental implants. Overall, you should never skip meals. Eating at the right time makes you feel better, become stronger and heal faster. You may feel some degree of discomfort within the hours following your surgery. Commonly, the most severe pain is within six hours after the anaesthetic wears off. Taking painkillers before this happens should allow you to manage any discomfort better. If pain or discomfort persists, you may take a stronger painkiller. Exercise caution, however, and remember to consult your dentist before deciding on anything related to your pain medicine. A stronger pain medicine can cause some patients to feel nauseous, among other side effects. Eating a small amount of food before taking your pain medicine can reduce chances of nausea. Set an appointment with Euro Dental Care to find out if you are eligible for implants. 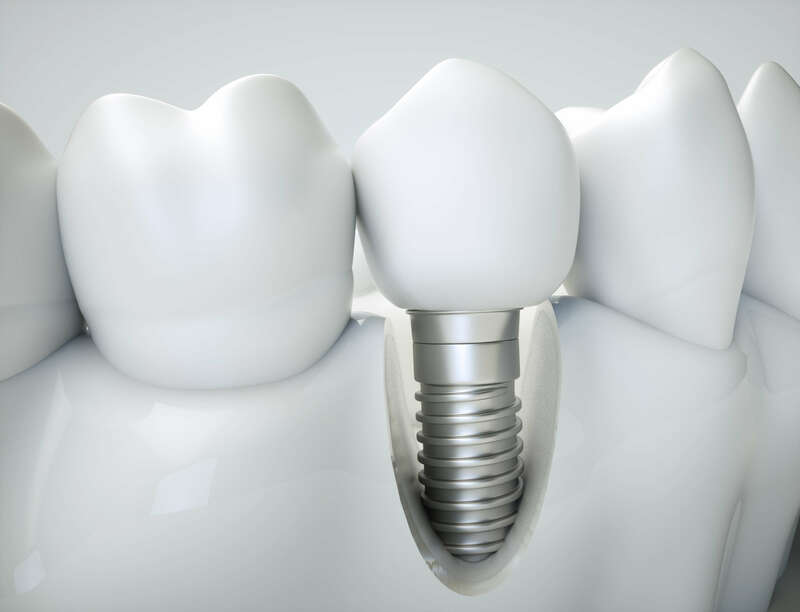 We use Straumann implants that provide excellent biocompatibility and stability. They are designed with Swiss quality and precision to ensure patients receive only reliable and high-quality implants. Furthermore, Straumann implants have a unique implant surface that reduces healing time. If you want to schedule an appointment, please contact us today. For any questions about the procedure, we are also available to accommodate your queries.